Widgets are under the appearance section. Save the image in the media. Highlight and copy the media url then select an image widget and paste it. In order for widgets to be displayed your basic background needs to be able to show widgets. thanks caroline—i am going to give that a try later today. i think i understand what you mean. 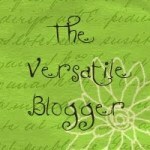 I’m still loving your blog! I do hope that you will accept the brand new Blog of the Year 2012 Award which I have bestowed upon your blog – you can read my award ceremony post here ‘Blog of the Year Award’ http://thethoughtpalette.co.uk/2012/10/24/blog-of-the-year-award/ Thank you for entertaining and informing me this year – and Congratulations! no hurry! have a great wedding! today i am finally doing the post about blog of the year—and scrolled up and saw you gave me an award in may that somehow i never acknowledged or passed on! naughty me—i’m so sorry!! thank you for both…taking care of this now!